A complaint accusing a Bulla ice cream advertisement as “blatantly targeting children” has been dismissed by the Advertising Standards Board (ASB). The billboard advertisement in question features young children holding Bulla ice creams and the text “unfakeable fun”. Pack shots of Bulla’s Custard Tart, Fairy Bread and Cookies & Cream ice creams are also in the advertisement. The complainant accused the ad as “blatantly targeting children” due to its “colourful images” and “child-like text”, saying it would appeal to children and suggest to them they need the ice creams to have fun. “Furthermore it promotes excessive consumption as despite there being only two children in the image, three ice creams are being held up by their little hands, suggesting that one of them is eating two ice creams at one time,” the complainant said. Bulla defended the ad by saying it is not promoting excessive consumption of ice cream as it is clear there are three children in the advertisement even though one child’s face was not in the image. Bulla also defended the advertisement by saying the complaint amounted to a “vague” and “generalised attack” on the nature of Bulla’s product and its right to advertise. 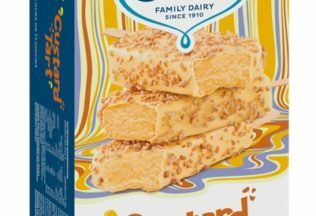 The dairy company said prior determinations by the ASB have found advertising food of particular nutritional contents do not undermine community standards on promoting healthy lifestyles. The ASB dismissed the complaint, saying the text “unfakeable fun” is not a phrase directed at children, labelling it a more complex phrase than just the word “fun”, which may be understood by children. “Overall the Board considered that although the advertisement would be appealing to children, in its view the advertisement is not directed primarily to children,” the ASB said. The Board said the idea that ice cream is needed to have fun is not one a child would likely take away after seeing the billboard. The Board also stated there is no suggestion of excess consumption and said that the children in the ad are each holding one-ice cream. The ‘Coopers Extra Strong 2017 Vintage Ale’ can be cellared similar to wine.